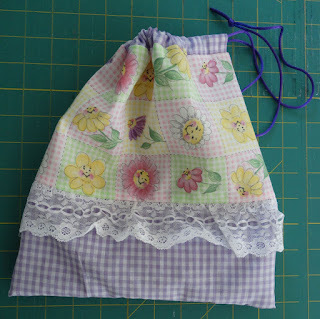 Here are the three pieces I am using to make this bag. 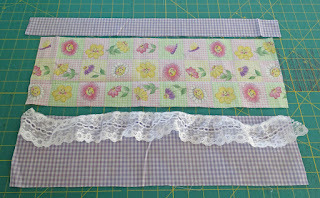 You can use more if you like but the total cut should be 20" wide by 12" tall. 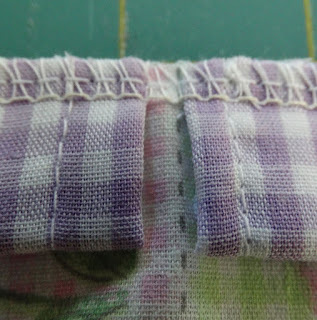 I am using a serger but you can make these using about a 1/2" seam. 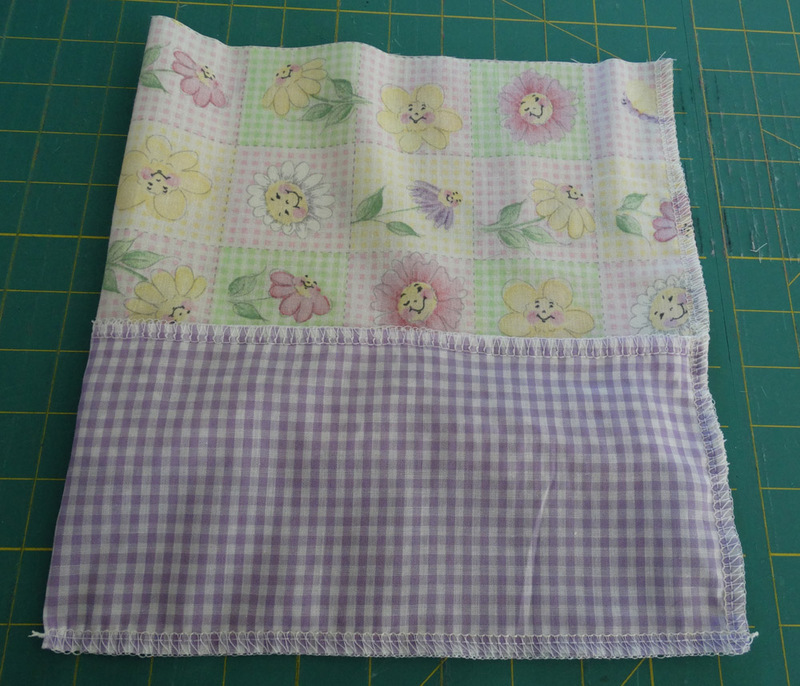 The top piece will be the casing for the bag. I made mine 2" by 21". 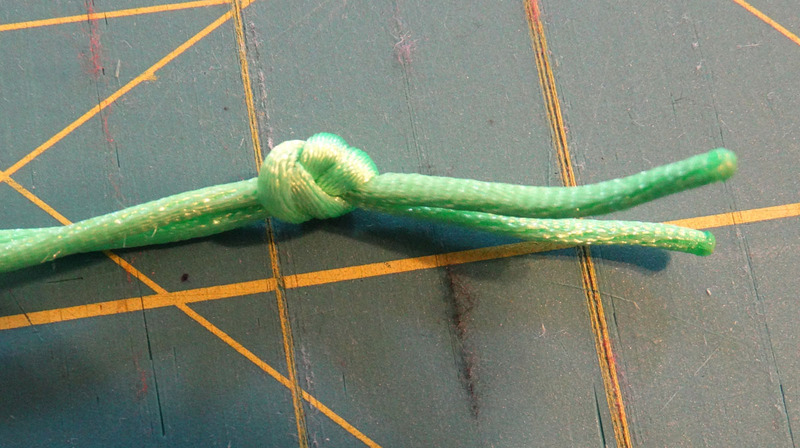 I am using cording so I did not need a wide casing. If you are using ribbon adjust the width of your casing accordingly. 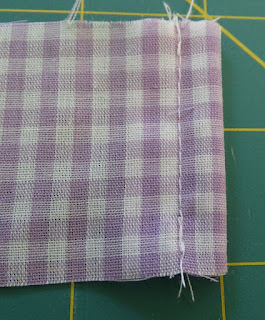 This piece will be finished at each end by folding over and stitching. 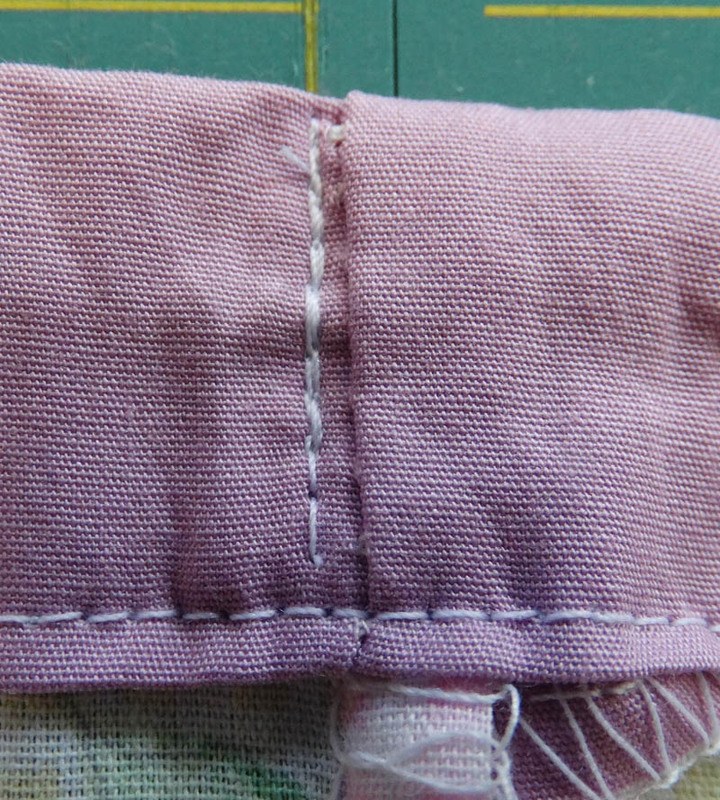 You want it to end up a little shorter than the bag once the bag is seamed. Sew the different fabrics together… I enclosed my lace before sewing the side seam. Fold the casing in half length-wise and pin to the top of the bag. 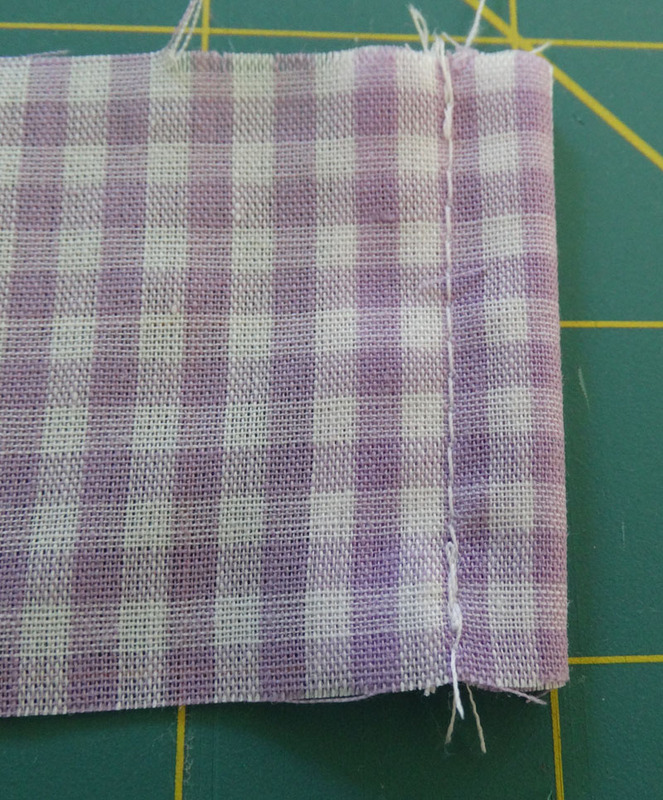 Leave a very small gap… I leave this gap on the side of the bag without the seam. 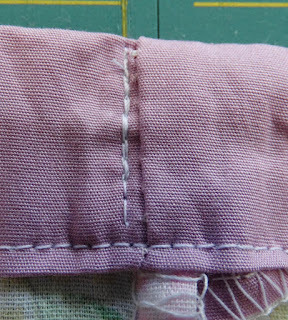 Sew all the way around the bag… including over the seam so that the fabric does not ravel. 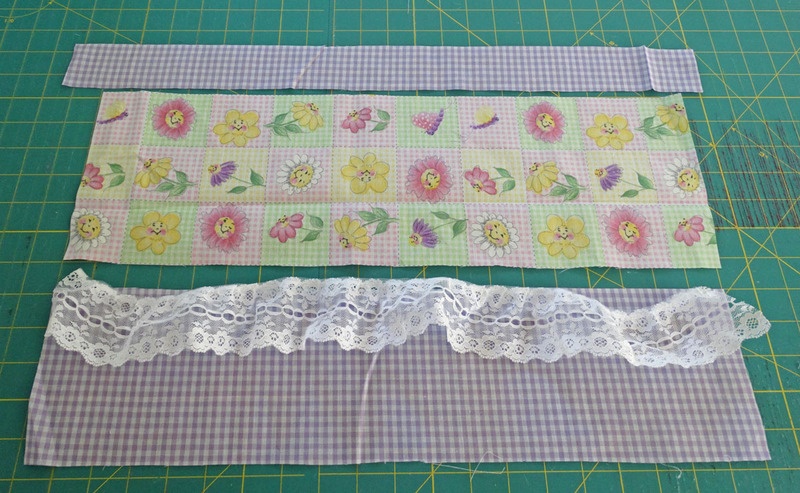 Cut a piece of ribbon or cording 36" long and finish the ends. I used a match and slightly burnt the ends so they will not ravel. 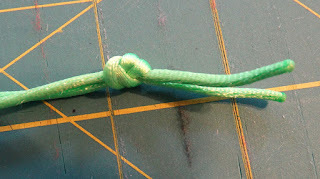 Thread a cord or ribbon through the casing (a pin through the end of the cording or ribbon will help you thread it throughout the casing) and tie the ends securely. 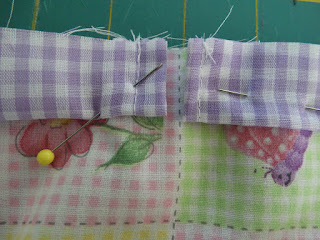 Tack the ribbon or cording at the seam end so that it will not pull out.